Is your ball too slick for it's own good? Use AMF Bowlers Tape to get a grip! AMF bowlers tape is the Original leading bowlers tape. You can customize your hole size and improve your gripping power. 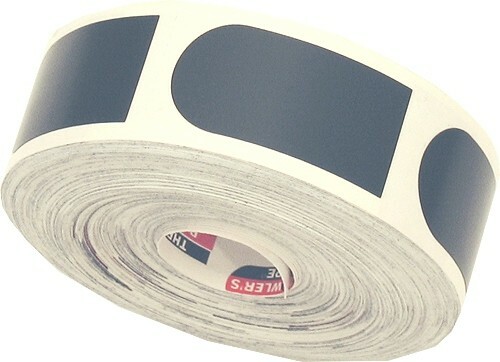 Purchase this AMF Bowler's Tape Black 1" today and get a good grip on your ball! Do you know if there are still Bowlers Tape storage cases available for purchase? Hello! We noticed that there are two different types of tapes that come with tape dispensers. You can check out the Ebonite Tape Dispenser w/ Glow Tape or the Storm Tape Box Dozen. Due to the time it takes to produce the AMF Bowler's Tape Black 1" ball it will ship in immediately. We cannot ship this ball outside the United States.